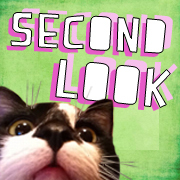 Second Look—Kill Doctor Lucky… on an Island! 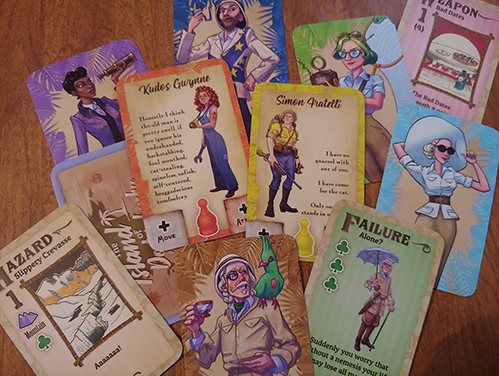 The Island of Doctor Lucky is the newest iteration of Kill Doctor Lucky by Cheapass Games. The original game, which is basically Clue before the murder, centers on the eponymous Doctor Lucky as he travels along a set path through his mansion while dinner guests attempt to kill him. 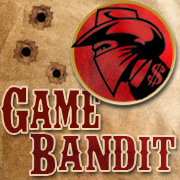 The Titanic Games (a now-defunct imprint of Paizo Publishing) edition had several rooms in the sprawling mansion that weren’t on Lucky’s path, which slowed down the would-be murderers. The 19.5th Anniversary Edition removed these empty rooms (and ignored movement in hallways). With the Island of Doctor Lucky, it’s as if the mansion evolved to be just rooms that Lucky will wander through, without hallways or anything else to detract from the Doctor’s path. Each turn your murderer may move, then either draw a card or attempt to kill Doctor Lucky if there are no witnesses. If there is nobody in your location or an adjacent location, go for murder! In the mansion-based earlier games, checking to see if you are undiscovered required tracing sight lines through walls and open doorways up to two or three rooms away. On the island, it’s easier and faster to tell if your character is seen or unseen. Once your turn is over, Doctor Lucky moves to another space. When attempting to kill the Doctor, the other players must discard cards with enough Luck symbols to keep him alive — we all want him dead, but we want to be the one with our hands around his scrawny neck. 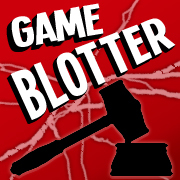 Eventually enough players’ cards are played that the other players won’t be able to thwart a killing. It’s always reminded me of playing Munchkin with several players at level 9, all trying to get to 10, waiting for that card attrition to assist your victory. 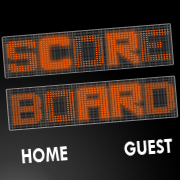 The board itself just has free-form locations depicted, which gave us a bit of pause when initially trying to find the fastest route to a target space or picturing who is visible to others. Each location has a terrain type that is referenced on new hazard cards. Hazards can be played on Lucky like any normal murder attempt or on other players, but only if the terrain type your victim is in matches the card’s. 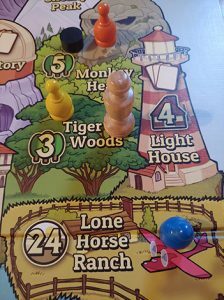 While this seems to be a good way to attempt to kill your prey (and interact with the other players), in our playthroughs it seemed like we never had the correct terrain on cards in our hands. This was a problem for us, as failing a hazard play on Doctor Lucky is how you increase your movement. Without being able to play hazards on the Doctor, we were crawling all over the island instead of rushing to an opportune position for murder. The Lucky Train continues in this version: if he stops in your area, it becomes your turn, even if you just went. In our three-player game (which adds three other non-player murderers to the board), we had a player with turn after turn as Lucky either ran into her token or the non-player token just before her. By our count, she wound up being able to act on the Island six times to second player’s two. That wasn’t fun for the second player and felt a bit embarrassing for the first player, getting to act three times in a row. That game ended with the third player managed to move twice, running into the doctor and playing a low-level attack card–the other two players didn’t have any cards with Luck symbols on them. Like Munchkin, it felt like the game randomly picked a victor and, like Munchkin, it seems like the time the game takes to play is determined by the draw of the cards. I hate to say it, but The Island of Doctor Lucky isn’t as fun as the Kill Doctor Lucky games. By moving the game from the mansion to an island, the nostalgic memories of childhood games of Clue and the theme of “Clue before Clue” are further removed. The colorful simple board where some locations are puns but others aren’t, condensing the scene of crime to a point where players can take several turns in a row, and the way hazard cards are used to increase movement (but only if used on the Doctor), coupled with the random draw of cards which might give players a game that’s much shorter than the 40 minutes on the box? Well, we’d rather go with the 19.5 Anniversary Edition, which we reviewed a few years back. 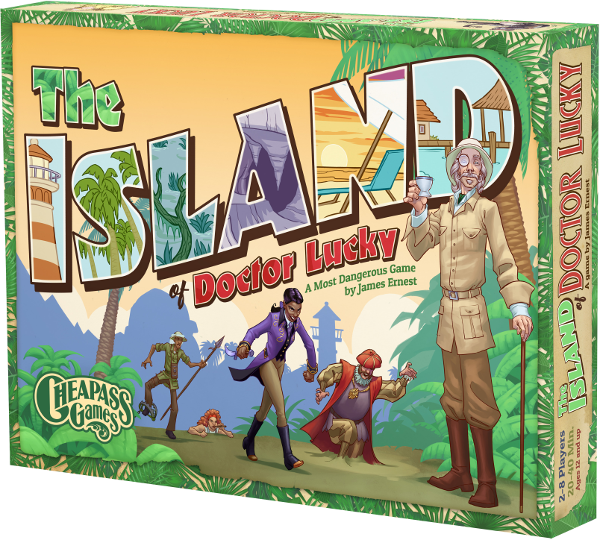 A copy of The Island of Doctor Lucky was provided free for review by Cheapass Games.